Ten tech startup companies have accepted a place in the first phase of Unearthed Solution’s Accelerator Program that is set to launch on October 2. The Queensland Mining Awards has announced its cohort of finalists, ranging from small, locally owned companies such as Mackay-based QCCS and HMA Wear Solutions, to large contractors such as Downer, McLanahan and Wolff and producers Rio Tinto. AWE will raise up to $48 million through a share placement and purchase plan to help fund stage two of its Waitsia gas project in Western Australia. Origin Energy has agreed to sell upstream oil and gas business, Lattice Energy, to Beach Energy for $1.585 billion. Origin Energy’s oil and gas division Lattice Energy has secured a $190 million deal with exploration company Benaris International to acquire a 27.7 per cent interest in the Otway gas project, increasing the company’s stake to 95 per cent. Origin Energy’s philanthropic arm, Origin Foundation, has given $5 million to the University of New South Wales (UNSW) to assist Indigenous students pursuing a career in science, technology, engineering or maths (STEM) fields. Origin Energy has signed two agreements with ENGIE that are set to increase gas supply and energy security in South Australia. The NSW EPA has fined Origin Energy Eraring $15,000 after dust was blown offsite from an ash dam at its Eraring Power Station. 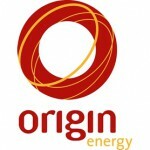 Origin Energy has announced plans to divest its upstream business assets in an effort to reduce debt and focus on its energy markets and gas business. WA engineering and construction firm Valmec has won a long-term contract worth $24 million for LNG services in Queensland. Origin Energy’s Australian Pacific LNG plant is expected to export its first cargo of gas tomorrow, when the tanker Methane Spirit is scheduled to leave. Origin Energy has announced that Australia Pacific LNG (APLNG) has begun production of gas at Curtis Island. Origin Energy has announced it will close down the Eraring Power Station within 20 years as part of a commitment to reduce carbon emissions. 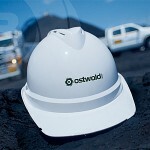 A contract worker was found dead in his room at a work site in Queensland on Friday. A worker has been killed at Origin Energy’s Reedy Creek work site. Origin Energy has acquired two massive natural gas exploration permits for the Browse Basin, including offshore gas fields.